Whether you are looking for a professional violinist for your wedding or corporate event or for taking violin lessons from a caring and experienced violin teacher, you have come to the right place! With a variety of offerings to choose from, I'm sure you will be happy working with me. 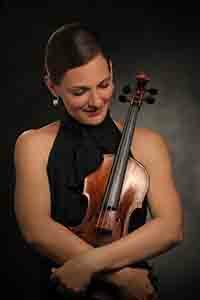 My name is Orsi Szalados; I am a professional violin artist living in Toronto. I have grown up with music and it is part of my everyday life to this very day. I have played the violin since the age of six. I played the piano for eight years and I can also play the recorder and the viola. I have completed my secondary studies in the Conservatory of Music in Budapest and my bachelor and master degrees at the University of Music in Vienna. The highlight of my career has been the opportunity to play music with other musicians, be it small chamber formations or the largest symphony orchestra – I have been lucky enough to experience it all. Playing music and singing together is the greatest delight. I would like to share this pleasure, and my love for music and musical instruments. I have been playing the violin since early childhood, studied at the Béla Bartók Conservatory of Music, Budapest (Hungary) with Erika Petőfi, and the University of Music and Performing Arts Vienna (Austria) with Edward Zienkowski, where I was awarded the Bachelor of Music degree with distinction (2004) and the Master of Music in Violin Performance (2007). I was lucky to take violin lessons from the members of the Vienna Philharmonic such as Rainer Küchl (Concertmaster), Hubert Kroisamer, Helmut Zehetner, and from Klaus Maetzl who was the Concertmaster of the Vienna Symphony Orchestra and co-founder of the Alban Berg String Quartet. Already at the age of 11, I was awarded the 2nd Prize at the Koncz János Violin Competition in Szombathely (Hungary) and later added numerous other awards at various violin and chamber music competitions. Concert travels have led me throughout Austria, Hungary, Romania, Germany, Italy, Spain, England and the US. I am currently playing with the Niagara Symphony Orchestra and participating in multiple projects in Toronto and the GTA. I had the opportunity to participate in prestigious music performances and to collaborate with fine musicians such as Evelyn Glennie, Nemanja Radulovic, Erika Miklósa, Andrea Rost, Barnabás Kelemen and Kristóf Baráti. As musician, I really enjoy different orchestral formations. 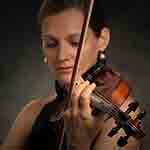 As a professional violinist, I love to experience with diverse projects and recordings. I have a broad experience in teaching violin, piano and music theory. I am holding a Master of Arts degree from the University of Music and PA.
My violin lessons are for different levels and ages, from age 5 and above including adults, from beginner to advanced. My teaching style varies depending on the age and ability of my pupil, my lessons are very much tailored to the individual. I am happy to focus my violin lessons to prepare my students for exams and guide all other students who prefer to learn just for fun. Tuition is on a one to one basis. If you are interested in having lessons with me, please get in touch. 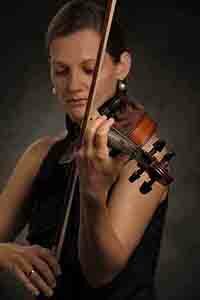 Enjoy elegant violin or string music on your wedding or special occasion! 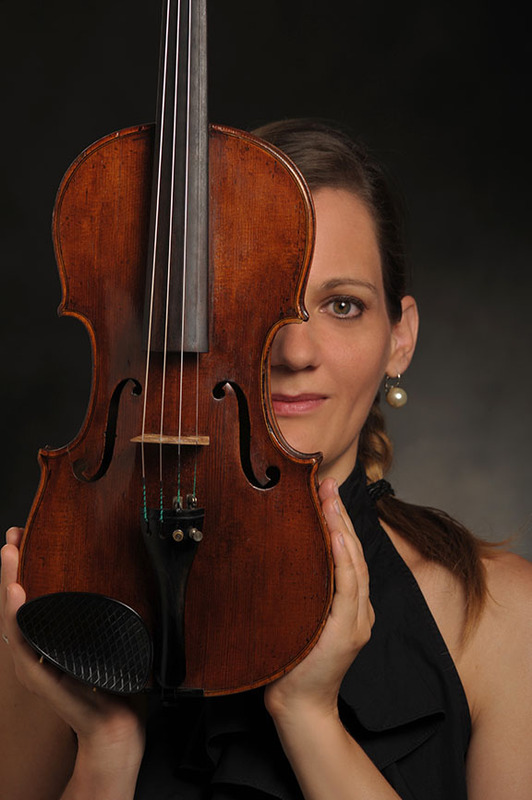 I am a classically trained professional violinist, holding a Master of Music degree in Violin Performance from the University of Music and PA Vienna, with experience performing internationally. I can create unforgettable musical moments for your wedding ceremony, cocktail hour, wedding reception, corporate function, private party or church service. My repertoire spans a diverse set of genres, including classical music, latest Top40 hits, sacred, pop, and jazz. For music samples, scroll down or click here. I am available for hire in Toronto and the GTA and will gladly discuss your wishes regarding music selection, instrumentation and can readily prepare any song by request. 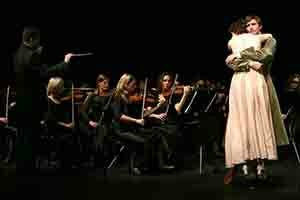 Different musical ensembles are available upon request, including duets, trios and quartets. 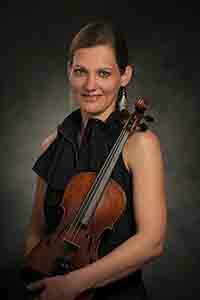 If you need a professional violinist for your wedding or your corporate ceremony, please contact me. Your browser doesn't support this HTML5 element.